Is Freedom of Speech for Sale in the United States of America? Following my recent experience with the court system in the case of Ronald Federici v Monica Pignotti et al., I would have to regretfully say yes, in my opinion. I want to state at the outset, however, that I am in no way blaming this on the judge or any of the lawyers. They were doing their jobs to the best of their ability and working, as they had to, within the limits of the law as it exists and they all did a fine job. This posting is in no way meant as a criticism of them. This posting is about a much larger problem that exists within our system that is not the fault of any particular individual. In my opinion, this system needs to change. Please note that this posting is an expression of my opinions and the facts, as I best understand them. Strategic Lawsuits Against Public Participation, aka SLAPP lawsuits are presenting serious threats to our constitutional rights. Here is an excellent FAQ on SLAPPs for those unfamiliar with the term. The bottom line is that in our system, as it presently exists, anyone from a state that does not have strong anti-SLAPP legislation (which is most states) can sue anyone else from any other state, for any reason and the only option that person has is to either go through the tremendous expense of filing the necessary papers to have the case dismissed or do nothing and have the Plaintiff win a default judgment. In some cases, such as Rajagopal v Does, an attempt is being made by a California plastic surgeon to have multiple anonymous internet posters identified who posted critical comments about her on the internet. No defendants are named in this case. An article critical of her practice was published in a San Francisco paper, but that publication was not sued. Instead, anonymous commenters were targeted. Dr. Rajagopal filed her case in Virginia and although in the complaint, the assertion was made that some of the “John Does” may be in Virginia, as far as I could determine, no evidence was presented that this was the case. On the contrary, it would make more sense that any patients or direct competitors would be residents of California and that the case would belong in California. However, the problem is that California is one of the few states that has strong anti-SLAPP legislation. The existence of such legislation makes it much easier for defendants who are sued without basis to not only get their cases speedily dismissed, but also to get reimbursed for their legal fees. This is very difficult and expensive to do in states such as Virginia with no anti-SLAPP legislation. The attorneys for one of the “John Does” has filed a motion to quash the subpoena that would request the revelation of the names of the John Does. Fortunately this “John Doe” has attorneys from the Virginia ACLU and attorneys from other organizations in California concerned with free speech who have taken an interest in this case and hopefully they will be able to successfully quash the subpoena. The outcome is pending. The lawyer representing the Plaintiff, Domingo Rivera, is the same lawyer who represented Federici in Federici v Pignotti et al. In my case, Federici v Pignotti et al, Virginia psychologist Ronald S. Federici, PsyD, who touted himself in his complaint as an “internally [sic] renowned” expert, sued five individuals, one non-profit organization and 10 John Does for defamation, tortious interference (interference with business), conspiracy to injure in trade, business and reputation. None of the defendants are from Virginia, nor do they do business in Virginia, own property in Virginia or have any ties to Virginia that would give this state jurisdiction over them. Two defendants and the non-profit are from Colorado, one from Nebraska, one from New Jersey and one (me) from Florida. The case was ultimately dismissed on the grounds of jurisdiction for all defendants and for failure to state a claim for Mercer and Pignotti. The reason the latter was only for two of us is that the other defendants did not include that in their pleadings and thus, the judge did not consider or rule on that basis for those defendants. The bottom line is, that although ultimately the defendants in Federici v Pignotti et al did successfully have the case dismissed, it has cost each of the defendants dearly, financially, to hire competent legal counsel to accomplish this. Had we ignored it, Ronald Federici would have won a default judgment that would have followed us all around for the rest of our lives. Had we attempted to go pro se (not hire a lawyer and represent ourselves) it is likely Federici would have prevailed, since not being lawyers ourselves with experience with the Virginia court system, it is highly unlikely we could have acquired the necessary information and knowledge of the Virginia court system, precedents, statutes, etc. to successfully argue this case. So really, our only option, if we wanted to preserve our right to free speech, was to hire attorneys and go through a very expensive process. Since the dismissal of this case, anonymous posters who appear to be supporters of Federici, have been gloating about this, even though ultimately the case was dismissed. In my opinion, there ia a major flaw in our court system that would allow this to happen. A Federal judge found that Virginia did not have jurisdiction over any of us and he also found that Ronald Federici failed to state a claim upon which relief can be granted for two of the defendants, yet we have no viable recourse to recover our attorney fees. We can try to file a motion for reimbursement or we can even try to sue for malicious prosecution but again, that would require even more legal expenses with very uncertain chances for success. Ultimately, we could be out even more legal expenses if we chose to go that route. Therefore, essentially what has occurred is that what is supposed to be our natural right to freedom of speech was something we had to pay dearly for in legal fees to defend ourselves. Again, this is not the fault of our excellent judge who I feel very lucky to have gotten and I’m not just saying that because he ruled in our favor. This judge, the Honorable Gerald Bruce Lee, has an excellent reputation for being fair and thorough and an internet search of his name reveals rave reviews from lawyers who feel privileged to have worked with him. However, he can only work within the limits of the current system. The same applies to our attorneys. These cases illustrate that even being from a state that has strong anti-SLAPP legislation is no protection for residents of that state, since they can be hauled into court in other states that do not have such legislation and forced to defend themselves. That is why the bottom line is that nothing less than anti-SLAPP legislation on a Federal level will do. Until such a time such legislation passes, freedom of speech will continue to be, essentially, for sale in the United States and no one is immune. One of the main reasons anti-SLAPP legislation is opposed is that people are concerned that this would deprive people with legitimate grounds for defamation of their rights to due process. In the book, The Google Bomb, attorney John Dozier urged people to not support such legislation. As a victim of internet defamation and cyber abuse myself, I support, appreciate and agree with much of what Dozier had to say in that book. In spite of all that has transpired, I still think there is a valid place for the work that lawyers like John Dozier and Domingo Rivera do when they represent actual victims of internet defamation and I am sure there are people they have helped and done good for. As strongly as I disagree with Domingo Rivera on the above-two cases I mentioned, if I were ever to hear from a victim of cyber defamation in Virginia who wished to sue, I might even consider referring that person to Domingo Rivera since this is a highly specialized area of expertise that few people have. However, I disagree with Dozier on anti-SLAPP law. Anti-SLAPP law, as I understand it, would not apply to people who are able to state valid claims, claims upon which relief may be granted. What anti-SLAPP legislation would do is prevent people from filing baseless claims against others in a court of law, forcing defendants to hire lawyers at tremendous cost. Such lawsuits can be financially devastating to the average person and since most people are not wiling to pay that price for freedom of speech, they ultimately end up settling and their criticism is silenced. To me, no price is too high to pay for freedom of speech and thus, I am willing to do everything legally within my power to raise funds to defend myself and turned down an offer to settle the case. However, most people do end up settling such cases and their freedom of speech is chilled. Anti-SLAPP legislation on a Federal level would be an excellent start to preserving freedom of speech on the internet and in the United States. I say “start” because defendants would still have to initially pay attorneys legal fees to file the necessary motions to dismiss and be reimbursed. There doesn’t seem to be any way around that unless legislation were passed to provide civil litigants with public defenders, as is done in criminal cases. That kind of legislation, however, would be highly unlikely to be passed, especially given the current budget crises and necessity of cutting the budget, even as it currently exists. That would not be a solution I would even support, especially since there is a problem, even in criminal cases with the quality of public defenders. The way the current system is, if you are poor, you do still have the right to freedom of speech, of course, but that right will come to a grinding halt as soon as someone decides to sue you for what you have to say, even if the suit is groundless. I don’t know what the ultimate solution is, but this is a problem that deserves much more attention, brainstorming and debate. I don’t think the average person even realizes how serious this problem is and anyone who cares enough to speak out publicly on a given issue could be placed in such a predicament. B. PROTECTIONS FOR PETITION AND SPEECH ACTIVITY. The Citizen Participation Act protects both petition activity and speech or conduct in connection with an issue of public interest with a set of procedural mechanisms. An “issue of public interest” includes any information or opinion related to health or safety; environmental, economic or community well-being; the government; a public figure; or a good, product or service in the marketplace. The proposed Act allows a defendant to bring a special motion to dismiss the lawsuit at an early stage in the proceedings. The defendant must show that the lawsuit against him arose from his protected speech or petitioning activity. The plaintiff must then demonstrate that her claim is both legally sufficient and supported by a sufficient prima facie showing of facts to sustain a favorable judgment. If the plaintiff fails to meet this burden, the lawsuit is dismissed. The hearing and the ruling on the motion are expedited, and discovery proceedings are stayed until the motion is resolved. A defendant who loses the motion to dismiss has the right to an immediate appeal, and a claim dismissed on the motion must be dismissed with prejudice. 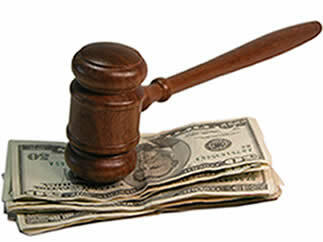 A party who prevails on a special motion to dismiss or quash may recover the costs of litigation, including reasonable attorney’s fees. F. BANKRUPTCY NON-DISCHARGABILITY OF SLAPP AND SLAPPBACK AWARDS. To ensure that a SLAPP defendant receives the court-ordered relief to which they are entitled, this provision makes fees awarded under the statute non-dischargeable in bankruptcy. Some states allow a SLAPP defendant to recover damages incurred in defending against a SLAPP, and this provision also makes these damages non-dischargeable.